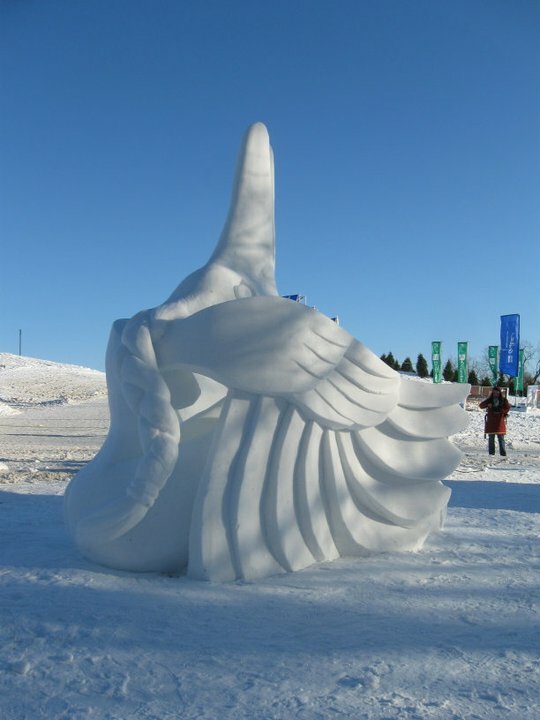 Northern News Services reports that a team of First Nations artists recently took first place at this year’s Carnaval de Québec snow sculpting competition with their 13-foot tall depiction of a raven transforming into a woman. The win means the crew — composed of Randy Sibbeston, Dewy Smith and Dylan Smith — will go on to represent Canada at next year’s international competition, which will also take place in Quebec. Congrats to the team for their beautiful creation! That sculpture takes my breath away. I never knew there was such a thing as snow sculptures, especially ones like this. It’s beautiful. The artist(s) should feel very proud to have such a talent.